Amateur and professional growers are constantly looking for new ways to make their cannabis ‘’deliver’’ so much more. As you would expect, lighting has a huge role in all of that. Yes, there are a lot of options and alternatives, but which one is the best? 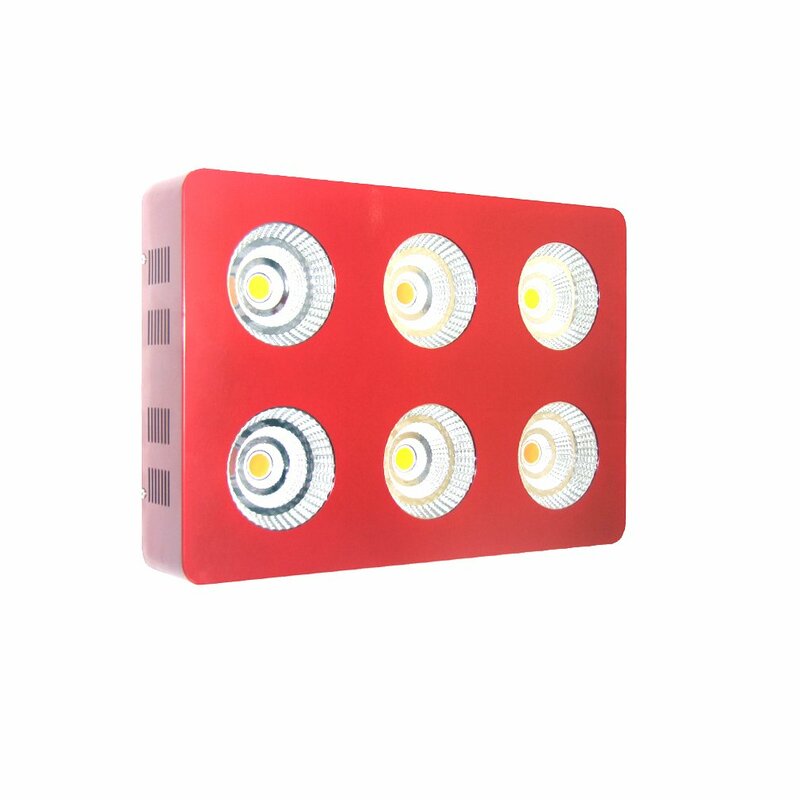 The simplest answer I can give to you is that the COB LED grow light is the best alternative. COB stands for chip on board and it literally means that LED is located on the copper or a ceramic board hence the name. This type of LEDs is the latest and I noticed that in 2017, it truly has become a real trend. There are a lot of advantages, something I will cover in the next section. At the moment, all you have to know is that these lights are slightly more expensive than other alternatives, but they will repay themselves in just a few months. Of course, this matter will be discussed later on. As I have mentioned, the list of benefits is extremely long. These lights are better than any other alternative at the moment and they are constantly upgraded, therefore they will be better in the near future. Surprisingly, if we neglect a bit higher price, we are left without a single drawback. Looks good so far. In a real-world application, these lights are even better. Now, I will explain why they are so special and why I prefer them over any other type of lighting. Let’s start with small things. 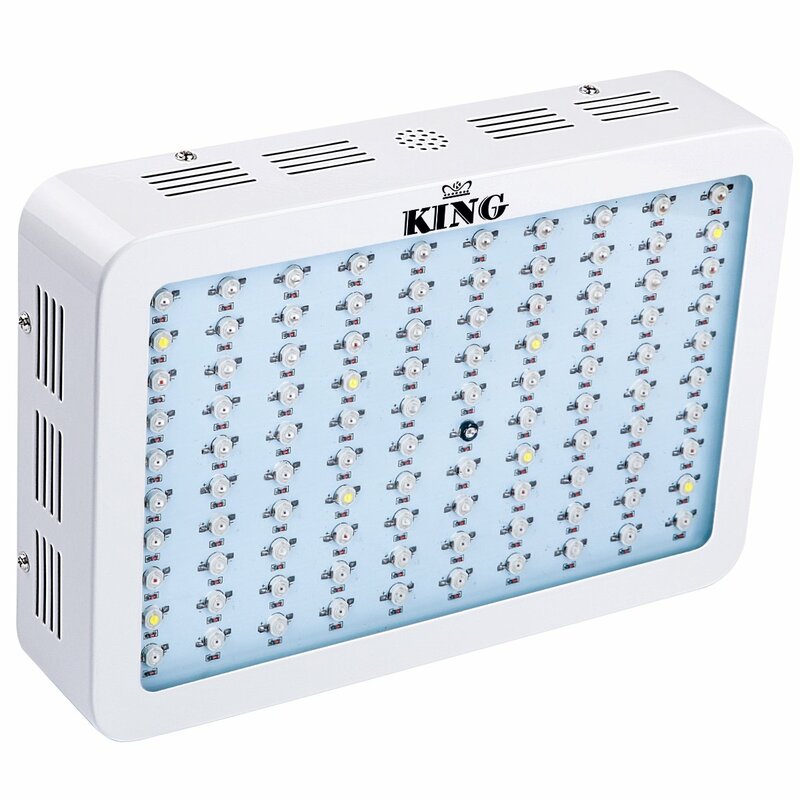 A COB LED grow light consists of so many LEDs closely implemented into the board. What this means is that when energized, they will provide a look of a single lighting panel, meaning that your light will look ‘’whole’’. In other words, a panel will look like one single piece, which also suggests that the light will be more directed and more linear. Compared to other types of lighting, this is an impressive and one of a kind benefit. Electrical efficiency is measured in µmol/j. Perhaps this sounds confusing, but it is defined as photosynthetically active proton amount produced by a single watt. In this case scenario, I noticed that COB lights produce between 1.8 and 2.5 µmol/j. This is simply the best score I noticed. For example, the next great type of lighting in this matter is Double-ended HPS, but they can reach a score of 1.8, max. It isn’t difficult to understand how much COB LEDs are better when it comes to energy efficiency. I said that COB LEDs will repay themselves over a period of time. This is a benefit which explains the matter. The longest lifespan among all lighting alternatives belonged to High Pressure Sodium products. They are able to last between 9.000 and 17.000 hours, which isn’t bad at all. But, COB LEDs can last between 30.000 and 60.000 hours, so the benefit or better said advantage here is obvious. Even the low-end COB lights will last 3 times longer than any other type of lighting. For professional growers, such as myself, this is one of the main advantages to consider and something that is more important than anything else. COB LEDs have one of the best spectrum scores I was able to discover in a long period of time. The only alternative which can be paired is the T5 Fluorescent lighting. Still, it is worse in any other field. Let’s just say that 3500K is always available with COB LEDs. Keep in mind that this factor is slightly determined by the manufacturer and the technology they used, but in each case, COB LEDs offer better spectrum, period. Right now, there is no alternative which can match the COB LEDs when it comes to the spectrum. Color Rendering Index or CRI literally stands for the light color variations and how subtle they are. A higher score is always better. Basically, when the score is high, the light will be more realistic. In other words, this is a factor which needs to be taken into account and the one I prefer. CRI of COB LEDs is the highest available and it starts at 70 but reaches 97. On average, you will get a CRI score of 80, which is decent. For comparison only, the Ceramic Metal Halide lighting provides between 80 and 96 CRI. As you can see, it is still lower than COB LEDs. So, what this actually means? In essence, it means that the COB LEDs will provide perfectly white light, without blue, purple or orange hues. Plants like this and the overall effect is one of a kind. A few months back, HID lighting alternatives were the most popular. Growers used LEDs due to one reason only, to reduce energy consumption. Well, now this isn’t the case. New COB LEDs will perform HID systems in any factor. They still save energy but they provide superb light intensity. I must say that they are a better improvement for the HID systems without any downside. Interesting: LED systems use 50% less energy than HID systems. COB LEDs use 50% less energy than conventional LEDs, so you can get a clear picture how efficient they are. COB LEDs and HID lighting are both single-point lighting systems. But, HID systems have one lighting source, so they are more likely to create a hotspot or to cause low-quality light distribution. I will explain this a bit better now. HID lighting will have one lighting source, obviously, but COB LEDs will have 6 lighting sources, so they can be easily adjusted and provide even light distribution. I prefer the COB LED grow light due to this benefit. Most of you believe that LEDs and HID systems of 500 Watts produce the same amount of heat, more precisely 500 W of heat. Some of you may believe that LEDs produce 500W of heat, but it is generally safer than the one produced by HID systems. What is the truth? Well, both, LEDs and HID system will produce 500W of heat (for 500W systems), but the true difference is in the infrared heating. LEDs produce far less infrared heating, which is preferable. Here I will point out that a COB LED grow light generates far less infrared heat than any other system, so it is safer to use. A COB LED grow light offers a lot more benefits, but they are less relevant than the ones I have mentioned, therefore I will explain them in a single point. First of all, LEDs are smaller than any other type of lighting, so they are easier to use, they require less space and they are lighter so they can be paired with low-end tents and equipment. Then we have the lack of ‘’warming up’’ time. HID systems need some time in order to warm up and to get the desirable light-heat values. LEDs don’t. Once they are energized, they start offering the full set of advantages. Light travels faster from LEDs to the plants than in a case of HID systems. There is no a massive advantage here, but it looks more appealing and the plants are capable of getting light as soon as possible. I must add that LEDs, especially COB LEDs have a much better power and light management, compared to HID systems or anything else. This is especially important if you are a professional, a grower who wants only the best results for his plants. At the end of this section, I must point out the obvious. COB LEDs are much better alternative than anything else available at the moment. They are safer, more reliable, offer better performances and they last longer than other lighting systems. All of this suggests that all types of growers should consider this lighting option. Except for a bit higher price, there are no other downsides of COB LED systems. These are truly the best LED grow lights ever developed. You want and your plants deserve the best COB LED grow light. Choosing it isn’t the simplest task you will have to do, but I will guide you through the process. Also, I will help you avoid mistakes which are common in the world of amateur growers. Anyway, a combination of the factors mentioned below can make a true difference and can help you get the most appealing grow light for your plants. This is an essential factor out there, so I will list it as number one. Basically, you have to determine how much light each plant will need. There are some growers who claim that 25W per a plant is sufficient, but this isn’t the truth. Lettuce and herbs can function perfectly with 25W of light per a plant, but cannabis can’t. It deserves 50W of light per a plant. Important: This is a game changer factor and the first one you must consider. How much space you have in your grow tent or in the room? If you have too little of space, a big LED grow light won’t be ideal. It will occupy too much of precious space which can be used for other, more important things. The unwritten rule is that LED lighting system doesn’t have any side effect on your plants and free space. This is a tricky factor to consider. In essence, the adjustable spectrum is needed, but plants in grow tents don’t react properly even when used. As such, it is a feature which is useful if you have it, but not essential. If you have an entire room for growing cannabis, then adjustable spectrum is preferable. I will also add the fact that plants require this advantage according to their growing phases. Dimming is an interesting option. I personally like the COB LED grow light with this feature, but once again, it isn’t essential. You can get the same result by turning off and turning on the lights. Don’t forget that cannabis does require a dark cycle, but as I have mentioned, it can be achieved with on/off switch on your grow light. The factor in question determined the stability of the current which is transferred into energy for LEDs. The main goal here is to have a system which is reliable and offer constant, linear energy output to the LEDs. Low-end systems have poor-quality electronic current circuits, therefore the energy delivery won’t be a constraint, which directly affects the light distributor. The lifespan of COB LEDs is between 30.000 and 60.000 hours. The price is something which determines this factor. Usually, more expensive models will last longer, and they are preferable if you are looking for a model which is going to be used for a longer period of time. Anyway, if you are looking for a more affordable version, those units with 30.000 hours of lifespan are just sufficient. Most growers spend a lot of attention to the lumens of a LEDs or better said to the light’s intensity. But, this factor is measured by a human eye rather than the requirement of the plants. As such, it is less important than Wattage. Luckily I know that when it comes to the wattage of the LEDs, the situation is simple. The more, the merrier. I must say that some, older lighting systems had colors which are not so great for the plants. Luckily each COB LED grow light comes with a pure white light, something cannabis ‘’likes’’. There is no need to try to avoid orange, blue and purple colors, simply because they are not present in the COB LED lights. Addition: Adjustable colors is another feature I like. It allows for us to adjust the hue of the light, meaning that the growth will be maximized. This point refers to the strength of the LED system. COB LEDs are more expensive than other lighting systems, therefore they must be treated with a lot of care. But, models made from actual glass, aluminum or steel components are more reliable and can withstand falls. Some units I tested were made from plastics, a low-quality one, so in a case of fall, wiring and the LEDs will be affected. The bottom line here is that overall quality should be taken into consideration. It will simply protect your lighting system in a case of an accident. I like having a timer on my COB LED grow light. Of course, this is one of the simplest features ever, but it is more than just interesting. These lights will be turned on between 12 and 18 hours per a day. So, instead of turning them off when they are not needed anymore, I like using a timer. It is truly an impressive simple advantage, period. In addition, I also know that most professional growers prefer having timers on their LED lights. It can truly make a difference. LED lights won’t generate a massive heat, but they still need a cooling system. Always pay attention to the cooling system. It must have a fan and a cooling element. Aluminum models are the best in this case, due to the fact this metal conducts the heat the best. Here I must point out that the noise a fan makes has a huge impact on the overall result. As less noise it makes, the better the entire system will be. In addition, modern systems are better in this field. They are quiet and they will make sure the LEDs stay cool regardless of how long they are on. Although an important feature, it should be mentioned slightly, due to the fact almost all systems come with it. 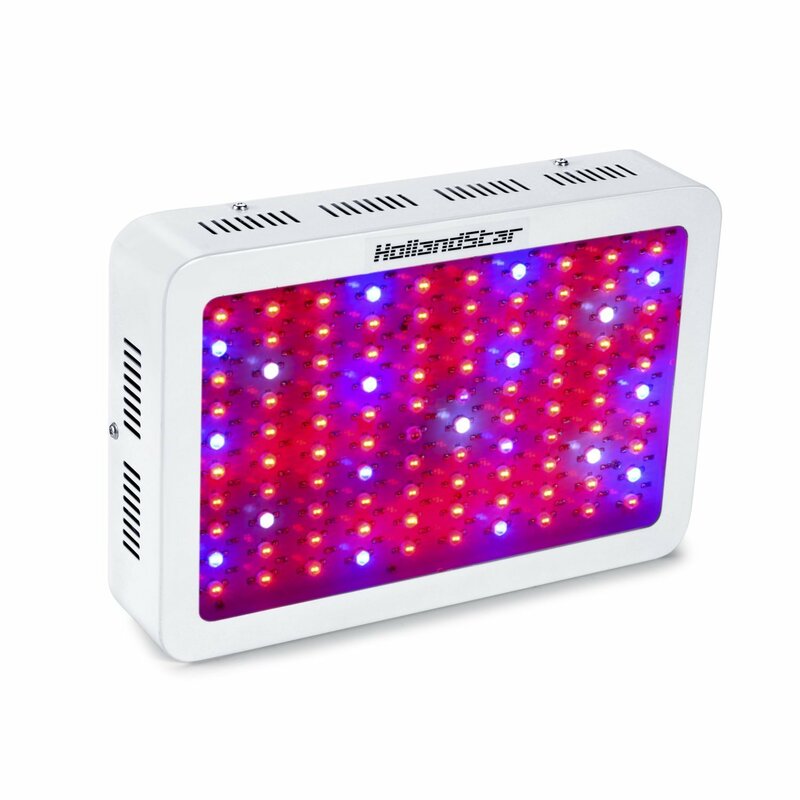 What it does is allows to the growers to use the same light for plants in different phases. A switch is standard for some brands, while others have similar systems, but are more complicated to use. 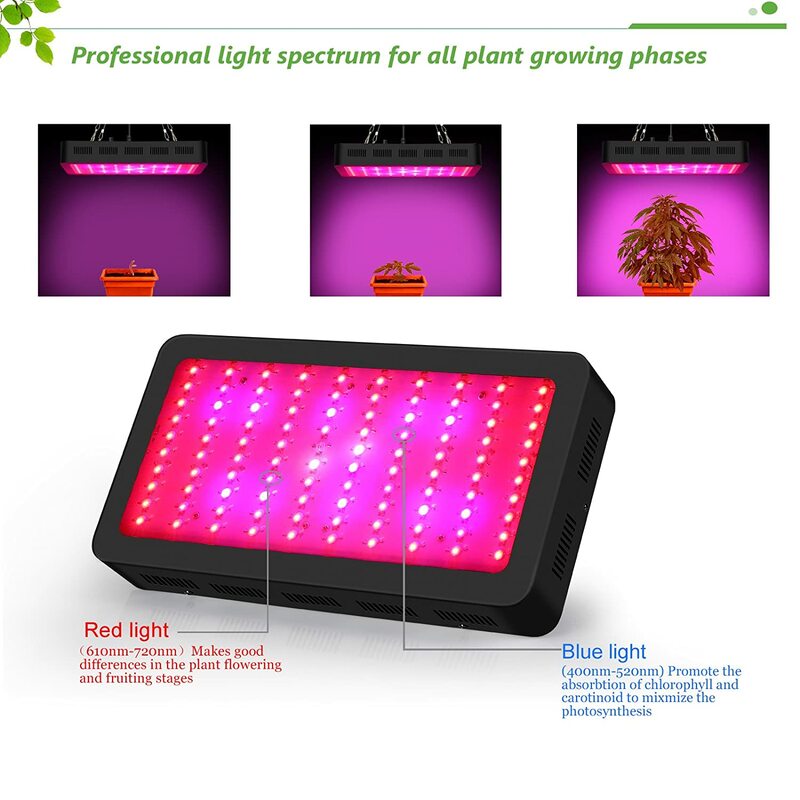 I will add that the PlatinumLED Grow Lights manufacturer offers this feature to almost all models of LED grow lights they provide. Over the years, I have been using their products and I am more than just happy with the veg/flower switch they provide. At the end of a day, COL LED lights for growing cannabis are expensive, so having a long-lasting warranty is more than just important. Always look for a warranty that lasts between 2 and 5 years. Of course, units with a 5-year long warranty are my favorite and I highly recommend them to all of you. A 3-year warranty is a medium range and it is decent, while those units with a 2-year warranty are usually entry-level grow lights. What’s in common is the fact all LEDs can last for a long period of time. They are far more durable and long-lasting than obsolete HID systems you may have used before. Optics is defined by the angle it can provide. I used models with an angle of 90-120 degrees and must say that both types are great. 90-degree optics are just right, but 120-degrees are slightly better. Here is the thing. I recommend 90-degree optics to beginners and intermediate growers. 120-degrees are slightly better, but only if a grower knows how to use them properly. It is truly up to you which type you need, but keep in mind that models with an optics with an angle below 60 degrees should be avoided. A cover area determined how many plants you can provide light to with the LED lighting system. Obviously, larger systems offer a larger cover area, but this matter cannot be generalized as you would expect. The real difference is in the LEDs themselves and the surface they can illuminate. Luckily, COB LED systems are superior in this case scenario. They are the best and the most effective in the lack of a better word. Interestingly, they require the least amount of space but provide the largest amount of cover area. PPF is an interesting sub-system which can make a difference at some point. For growers who made a mistake and plant their plants too close to each another, PPF is essential. Basically, it allows for the light to penetrate deeper into the plants and therefore provide light in higher amounts. Keep in mind that this is a rare sub-system and it doesn’t come implemented in all LEDs. In a nutshell, these points can help you get the best LED light with the latest COB technology. As the result, you will have ‘’happier’’ plants, a much better yield and your growing area will look more professional than ever before. The bottom line here is to remember that COB LED lights are the best of the best. They are ideal for beginners, intermediate and professional growers. This is the ultimate COB LED grow light period. I liked it the most and I must recommend it to all of you. First of all, the power of 3600W is impressive and suitable for all types of growers. Just to add, there are versions of the same grow light with a lower wattage. Anyway, the light output is impressive no less and it is superb in the lack of a better word. Furthermore, there is an eco-friendly benefit. This unit uses 545w of power, which is highly desirable. There are 12 LEDs built-in this unit and they use the latest COB technology. Other things I liked are on and off dimmer switch and the overall quality of the unit. After all, it is a high-end model, so the strength and the materials used in the manufacturing process are extraordinary. UV and IR are included as well. Combined, they offer full spectrum and plenty of light cannabis actually needs. One, an additional advantage is the cooling system. 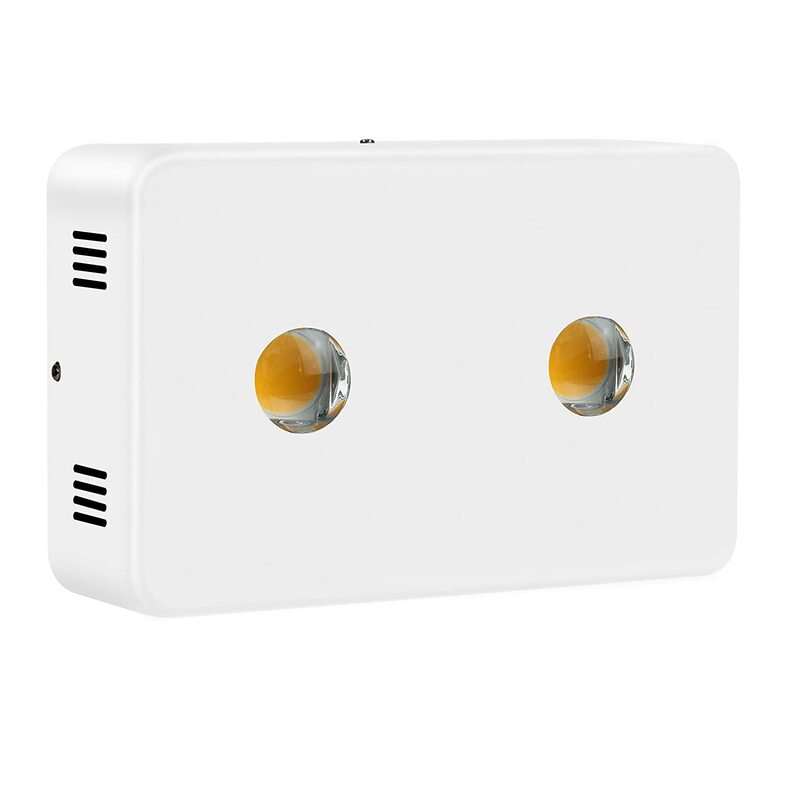 It is known for providing the best performances and the lowest noise among all COB LED systems available today. It is simply something all professional growers, including myself, prefer and appreciate. At the end of a day, this LED light is the best choice. It is more than just desirable and useful. As such, I was able to see it in greenhouses, grow tents and in many other places. Overall efficiency is above the average. The last, but not least, you will get a 3-year warranty and 30-day money back guarantee. The COB LED grow light I have here is special or better said different. There are a lot of facts you should know about it. Let’s begin with the design. This is an all-new, 2017 model which brings a few advantages. As such, it looks better than any other model out there and it is more effective. As a matter of fact, the manufacturer claims that yield will be improved for additional 30%. I tested this claim and it is true, although the actual improvement may vary between 20 and 30%. I also liked the dimmable feature, which allows you to adjust the light between 0 and 100%. One of the most important elements of this product is 12-band light. It is one of a kind and it is suitable for professionals or for growers who want the best and the most. 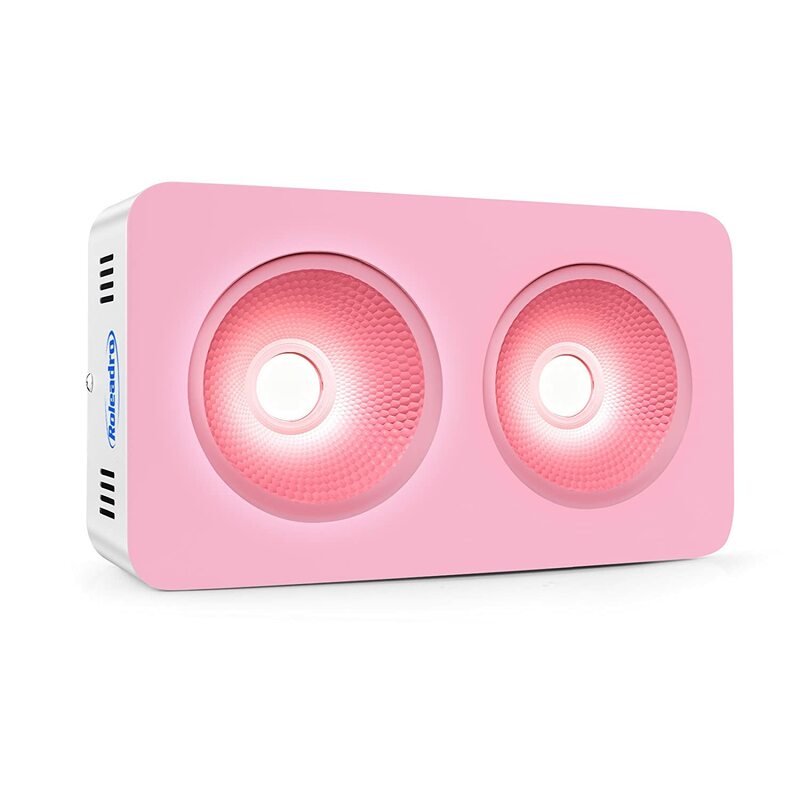 Pink light is impressive as well, so is the fact you will get UV and IR benefits. Of course, this isn’t strange for high-end LEDs like this one. Overall, I was slightly impressed with the feature list this model has to offer. When it comes to the warranty, I must mention that you will get 5-year and 90-days of money back guarantee. Simply said, this is a safe buy LED grow light, so I would use this opportunity to recommend it. Here is one interesting alternative. This model is just right. Don’t expect too much of it, because it isn’t as powerful as the first model I tested here, but it offers all you are going to need. Let’s just say that the value for money is ideal or better said superb. You will get a high-quality unit, which has 1200W of power, superior lighting capabilities and all of that packaged in a small and compact housing, perfect for growers who have issues with space. Keep in mind that this light is specifically optimized for vegetative and blooming stages, so I like using it as an addition to my grow light system. Strength is the next main thing here. The hangers and the main construction of the system are made of stainless steel. Then, the lights have an extra-long lifespan, so despite the price, they are going to last as long as you need them. The cooling system is sophisticated and advanced as well, so there won’t be any issues here either. Replacing damaged bulb is easier than ever, simply because of the design characteristics. Warranty is 3-years, but you also get a 90-day money back guarantee. So, the bottom line here is that you will be a proud owner of a high-quality LED light which employs the latest COB technology. It is durable, easy to use and it offers above the average performances. The King X6 is a more popular alternative for some growers. I liked the blue light this panel has to offer. In addition, the COB technology used here is state of the art and it is the latest one I was able to discover any time soon. In essence, I was satisfied with the results and the performances of the unit. Furthermore, the light panel uses 325W of energy, despite the fact it provides 1800W. For those who want something less bright, there are versions with 900 and 1200W. Still, I prefer the model in question. Full spectrum of 410-730nm is guaranteed as well. Then I must add the cooling system advantage. There are 2 fans and cooling holes in the main housing. Surprisingly, fans are extremely quiet, while the overall cooling result is superior. Combined with the LEDs and the full spectrum, this light is made for all phases and it can be used for different types of plants. After all, it is small, compact and powerful, all in one. 50.000 hours lifespan, 3-year warranty, and simplicity of installation are additional advantages I would like to share with you. Addition: The manufacturer offers useful tips for beginners and they have one of the best customer support I have ever seen. 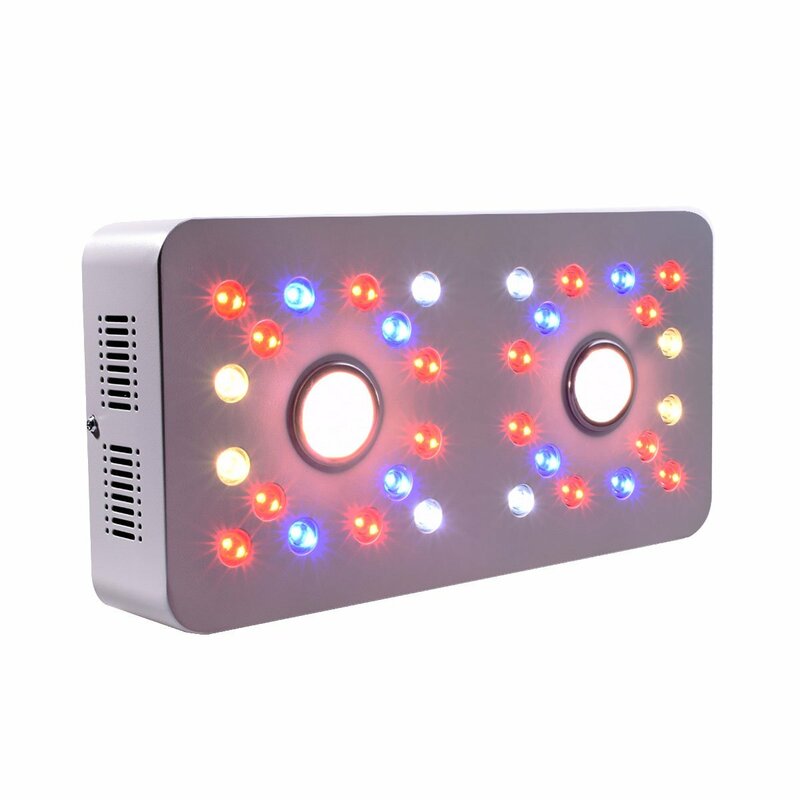 Are you going to be satisfied with this LED grow light? Chances are high that you will be. After all, the unit performed well on my tests and I am satisfied with the balance of the cost and characteristics. The main thing here is a 900W power which is obtained from 3 x 300W LEDs. But, these LEDs use COB technology, so they are more energy efficient than usual and they have 50.000 hours lifespan. Furthermore, the unit consumes only 160W of power, so you can get a clear picture how eco-friendly it is. The next thing I have to reveal is the colliding system. There are two fans, paired with ventilation holes and with a high-quality, anti-oxidation aluminum. Combination of the elements and materials made this unit perfectly ideal for users who live in areas where temperatures are high. In addition, there are versions with 1200 and 1800W, the one I mentioned earlier. All of them use the same COB technology. 3-year warranty, 30 days money back guarantee and customer support which typically replies within 24 hours are additional facts I will mention here. The bottom line is that this COB LED grow light is a wise choice to make. This unit is all about quality. That’s why I liked it especially, although it cannot be treated as the best model here. Let’s start with 90 degrees cups which provide better illumination at all conditions. Add COB technology and 50.000 hours lifespan of the LEDs and you will get a clear picture why this unit is so special, or let’s just say beneficial for beginners, intermediate and also for professional growers. Warranty is 2 years, which isn’t great, but don’t expect any complications here, due to the aforementioned quality. On the other side, the cooling system is a masterpiece. It is one of a kind, comes with 2 fans, latest generation radiator and even with materials which conduct heat better than usual. All of this means that the cooling will be sufficient at all times. Spectrum is between 380 and 780nm so you can understand that this LED grow light is ideal for all types of cannabis, in all phases. Light is bright, without any dark points and with a decent cover area. I personally believe that this light is desirable for growers who have a low number of plants, but they want the best for them. I am still using it and I don’t have in plan to change it. While the previous unit was expensive and focused mostly on overall quality, this one is different. I can even say that it is a bit opposite. That’s why I will start with the value for money. It is just great. 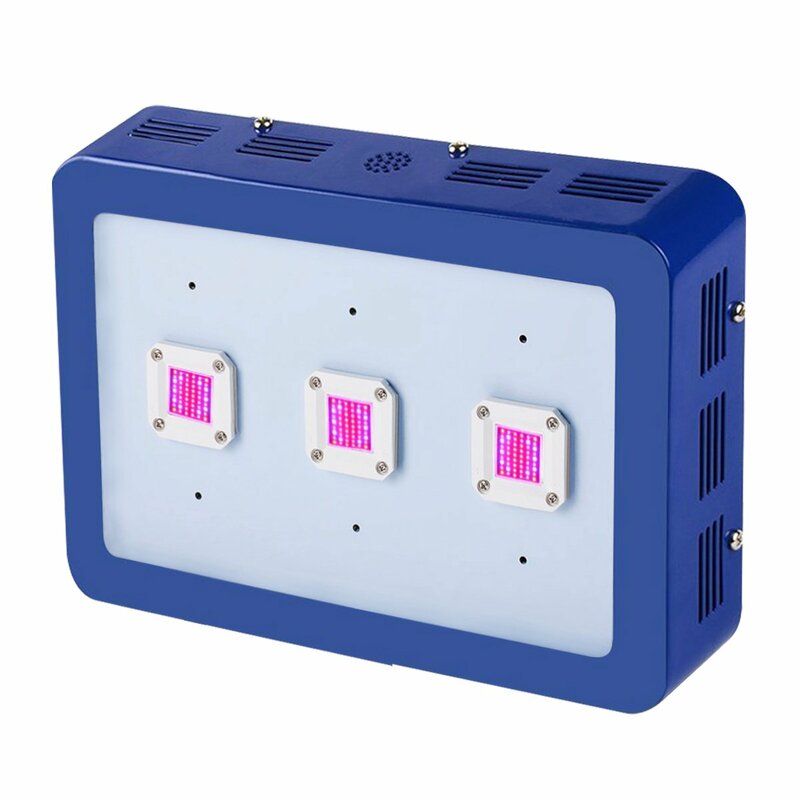 You will get 1500W LED grow light which offers a full spectrum (410-780nm) and with the dual-fan cooling system. The light brightness is just great and eco-friendly advantage is implemented as well. Keep in mind that this unit will consume only 260W of energy. If you want something else, I must say that there are different versions of the same light. You can choose between 1000W, 1200W and 1500W without COB technology. Due to some reason, the 1500W without COB system is more expensive than the model here, so I would advise you to choose this one rather than the unit without COB. When we are at the cost, the value for money is excellent. This unit is affordable compared to equivalent units. If you want a long warranty, you will get it here. There is 3-year warranty available with each version of the LED grow light here. But, I saved the best for the end. The LEDs here have an extra-long lifespan of 100.000 hours. I was surprised by this advantage because I believe that this advantage is reserved for the most expensive COB LED lights. Thanks to the small dimensions of 12.2×8.26×2.36inches, 1000W of power (5x200W) and COB technology, this LED grow light is all what most growers actually need. I will point out that there are no superior features here. Basically, you get what you see and that’s it. But, surprisingly, I was very satisfied with this unit. It offered a decent light and brightness, it was easy to assemble and install and it operated without any issue. 50.000 hours of lifespan is just right and desirable for all users, especially if you know that the price is above average. This brings us to the main advantage here. The unit is great value for money. 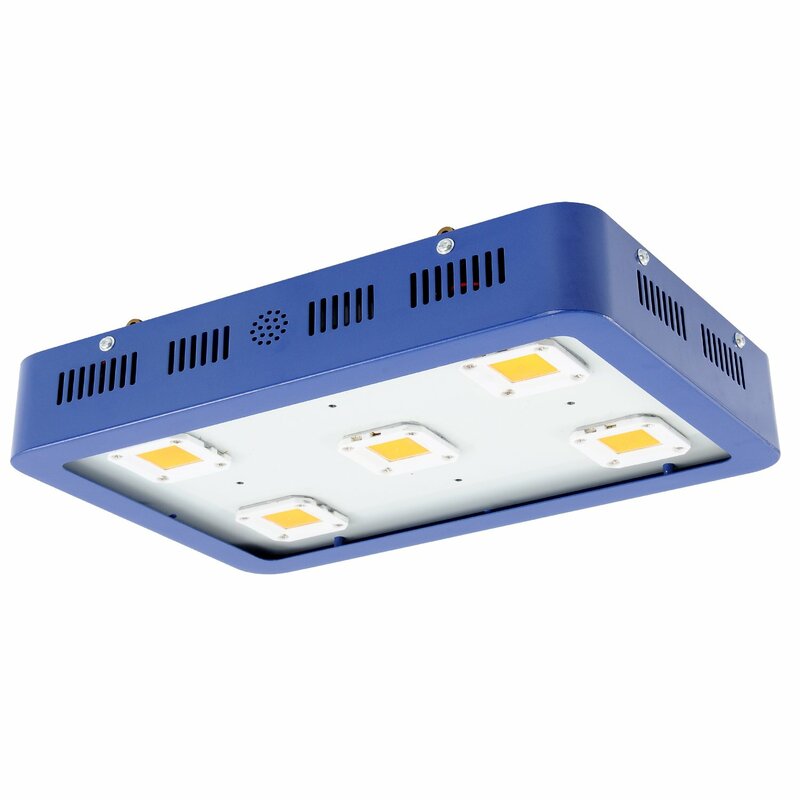 It’s made from durable and strong materials, it offers new generation LEDs and it is packed in a great case. Install it, use it and you will have happy plants. In addition, there is a dimmable switch feature, which I like a lot. The warranty is decent, but not special and the overall package is just perfect for beginners and for those who are looking for an affordable COB LED grow light. It is small, it is powerful and it is a high-quality unit. All of this should help you understand how and why this unit is special and why it is so desirable. I currently use two of them to provide additional light to my plants. The results are visible instantly, considering that the light delivery characteristics are special, due to the dimensions, size of the LEDs and etc. This is a 300W unit version, but you can get a 400W version as well. Both of them are similar, but due to the price, I prefer the 300W option. 90-degree reflector cups are special. They are much better than several, similar system I tested over time and they even look more appealing than usual. Besides this advantage, I will include the cooling system. Yes, I may point out about this feature all the time, but it is something that can protect or destroy all your plants, so you can get a clear idea why the cooling system is something to consider among the first features. Here we have a state of the art system which will make sure the entire light is perfectly cool regardless of the use time. The unit I mentioned here is just right if you are looking for a small and powerful grow light. Still, this is a bit unique COB LED grow light so I would recommend it to professional growers who will use all of its potential. This LED grow light is a bit interesting. First of all, it isn’t powerful enough to be used for more desirable purposes. The max power is actually 400W. But, the cover area is 4×4 square feet. The light and the spectrum are both above average and better than most equivalent models have to offer. So, in a nutshell, you will get a highly desirable light for all your plants, which is characterized by the superb quality and with the great performances. Of course, this model should be used as an additional light for cannabis. Here, the rice may be an issue. Compared to the performances and power, the price is significantly high. A 2-year warranty is also below average, but you still get 30-days money back guarantee. I have been using this model for a couple of months, and I must say that there were no some issues or reliability problems. Just to add, the customer support is one of the best I was able to find, although this is perfectly understandable if we add the high price. One explanation must be included here. There is a technology used here, called the Sunflower Radiator System. What it does is combines fans, cooling components and several other elements all in order to make sure the plants are fully protected from the heat generated by the light. I tested this feature separately and compared it to similar lighting systems. I must say that this one is at least 30% more effective in eliminating heat from the plants. All of you who are looking for the best COB led grow light should pay attention to the content I have just provided. Here I was discussing the factors to consider, why you need COB LED lights and I tested and compared the best models. Now, it is your turn to get one and start proper growing.